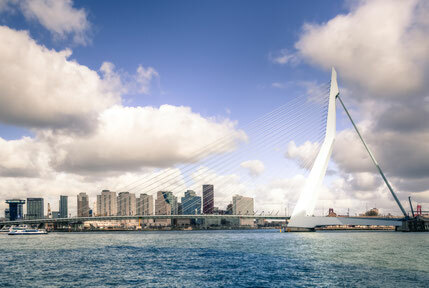 In a few months "Comic Con Europe: Rotterdam" go into the second round in...well Rotterdam (The Netherlands). This second edition will take place on the 3th&4th of March in Ahoy. The event will be organised by Showmasters and the German Comic Con Europe. They also organised Comic Con Amsterdam (we visited the first edition of this event in 2016 and we had a great time, check out our "general overview"). The editions of Comic Con Europe (Amsterdam&Rotterdam) so far, had some amazing guests and this edition is no exception. Of course there will be more guests, but in this article we will discuss the guest that are announced so far. 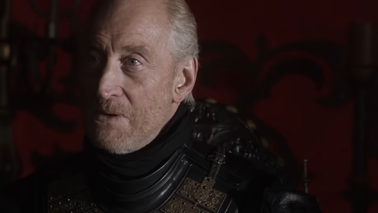 Charles Dance is mostly known for his role as ultimate bad guy Tywinn Lannister in HBO's "Game of Thrones". Well we love "Game of Thrones" and we love bad guys, so we were over the moon when Charles was announced last week. Besides his role in "Game of Thrones, the British actor is also known for his roles in movies like: "For your eyes only" (as Claus, 1981), "Good Morning, Babylon" (as D.W. Griffith, 1987), "China Moon" (as Rupert Munro, 1991), "Alien³" (as Clemens, 1992), "Last Action Hero" (as Benedict, 1992), "Gosford Park" (as Raymond Stockbridge, 2001), "Ali G Indahouse" (as David Carlton, 2002), "Underworld Awakening" (as Thomas, 2012), "The Imitation Game" (as Commander Denniston, 2014), "Dracula Untold" (as Master Vampire, 2014), "Michiel de Ruyter" (as Charles II, 2014), "Ghostbusters" (as Harold Filmore, 2016) and "Underworld; Bloodwars" (as Thomas, 2016). Dance is known for his roles as bueaucrats and bad guys. Fun Fact: Charles studied Graphic Design, but decided to become an actor. "There can be only one!" Christopher Lambert will be a guest in Rotterdam. Born in Great Neck, New York (US) this French-American actor grew up in Geneva (Switzerland) and Paris (France). His father was a French diplomat at the United Nations, so the family moved to Geneva when Christopher was two years old. Lambert is mostly known for his role as Connor MacLeod in the "Highlander" franchise, starting with the first movie "Highlander in 1986. One of his trademarks is his intense gaze, he often shows in movies. This is actually a result of myopia at a young age, which causes his eyes to focus incorrectly. As a result distant objects appear blurred. Because of this he can't wear contact lenses, so when he can't wear glasses in a movie, Lambert acts virtually blind. This has led to accidents when performing stunts. 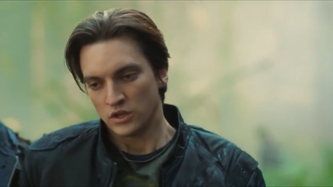 This 26-year-old Canadian actor is mostly known for his role as Murphy in the immensly popular series "The 100". Harmon made his acting debut in the tv series "Jeremiah" (2002), but he also played in movies. One of these movies is "If I had Wings" (2013). He received a lot of critical praise for his role as Alex Taylor. Fun Fact: Richard is a big fan of "Spongebob Squarepants". Richard is not the only Harmon attending Comic Con Rotterdam; his older sister Jessica (32) Harmon will also be a guest. Jessica also plays supporting roles in "The 100" (as Niylah) and "If I had wings" (as Mrs. McVie) . Besides this she is alos known for supporting roles in: "IZombie" (as Dale Bozzio) and "Battlestar Galactica: The Face of the Enemy" (as Esrin). Jessica also co-starred in the slasher movie "Black Christmas" as Megan Helms. The Night King is coming to Rotterdam. 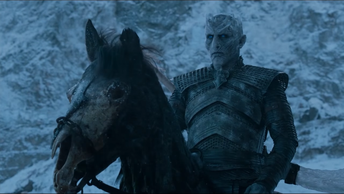 In the first seasons the role of the Night King in "Game of Thrones" was played by Richard Brake, but since season 6 the role is played by Vladimir Furdik, a Slovakian stunt actor. He performed stunts in a lot of great movies, like: "Exodus: Gods and Kings" (2014), "Hercules" (2014), "Noah" (2014), "Thor: The Dark World" (2013), "Skyfall" (2012) and many more. 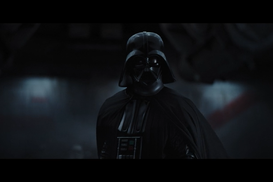 There is another stuntman coming to Comic Con Ahoy....Daniel Naprous played the one and only Darth Vader in "Rogue One: a Star Wars Story" and did some stuntwork in "Game of Thrones". Daniel also worked as horsemaster on a lot of movie- and television sets. He worked on a lot of great projects, like: "Prometheus" (2012), "Exodus: Gods and Kings" (2014), "Harry Potter and the Deadly Hallows-Part 2" (2011), "Robin Hood" (2010) and a lot more. Harry Potter-fans beware, because there is a Weasley coming to Rotterdam. The New Zealond-born British actor Chris Rankin is mostly known for his role as Percy Weasley in the "Harry Potter"- franchise. Other than in the "Harry Potter" movies, Rankin has also played in the mini series: "The Rotters' Club" and he did a lot of stage work.